First there was The Secret Garden, and then there was Black Beauty. I was such a horse-girl when I was child. There was an anthology about unicorns in my elementary school library that I checked out once a month to reread the stories. This lead me to selecting books because there was a horse on the cover, and I even fooled myself into thinking I liked cowboy books for more then their trusty steeds. Eventually, the librarian placed Black Beauty in my hands, a story I already knew well. 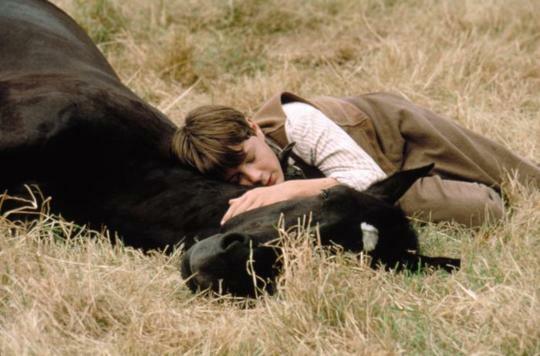 When it was time to relax with a movie, my parents sat us down to classics, The Secret Garden which I mentioned in my last article, and Black Beauty being two of that exceptional collection (more to come). Back then, I almost couldn’t tell these two films apart and I’d convinced myself that Dicken’s little white pony was Merrylegs, Black’s best little friend from his happier days on the estate with Ginger. (Especially because Andrew Knott played roles in both movies – ah, young love). For the horse-girl inside me this storyline could not be more enchanting. Anna Sewell caught the voice of a horse in the time when these gorgeous animals were as useful as they were objects to their owners. Only a lucky horse would end up being cared for the way a little girl would want to read. Sewell’s horse star, Black, met all sorts of masters who loved him and abused him, and finally came to rescue him. You can only imagine this story being an eye-opener for some horse owners to see a personified horse carrying out the standard work of pulling carts and wagons of hay with masters that seem unaware that there is life in the creature they whip. It had a great effect on me as a little girl and only added to the empathy I felt for life. What amazes me is how this classic was brought to the screen and in a successful way. A horse narrates the story in the book and in the film. There is very little dialogue that moves the scenes and human involvement is coincidental for the most part. As a child, these story telling maneuvers might be overlooked, but as an adult there is always a sense of humor when an animal’s voice tells the story, (two horrifying examples come to mind; one with a blue dragon and another with some wolves in a vampire romance). 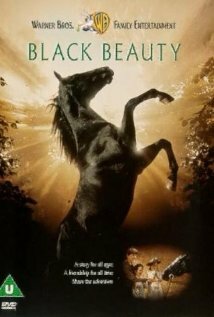 However, as an adult you can sit down to this movie and enjoy the voice of Black Beauty. It is another great tale to read over and over again, or view over and over again, as your life redevelops the story lines and the movie allows you to do this, humor free. Adventure, smiles, heartbreak and the constant journey for a home and acceptance fill the pages of this book. As a child, I knew this story was great, even if I didn’t understand the term ‘classic.’ It is yet another story from our childhood that shows what film adaptation can be, and should be, about. In short: a simple, honest expression of the words that have captivated readers of all ages. And on that note, I have a movie to watch. Was Black Beauty a staple in your childhood? Tell us about your favorite memory in the comments! ← Adaptation #75: I, Frankenstein. You, Human. I’m writing for the Adaptation Team again! Reblogged this on River Ram Press.